Rev. John Patrick Lynch, CSV, died on June 3, 1978, at the Merkle-Knipprath Home, in Clifton, Illinois. He was 79. Father Lynch was born November 20, 1898, in Champaign, Illinois. He was educated at St. Viator Academy and St. Viator College in Bourbonnais, Illinois, where he received a bachelor’s degree in 1921, and a master’s degree in 1924. Father Lynch entered the Clerics of Saint Viator in 1916, and made his first vows in 1917. He studied for the priesthood at Kenrick Seminary, St. Louis, Missouri, and the Sulpician Seminary in Washington, D.C. He was ordained a priest in 1927. During a long career, Father Lynch taught at St. Viator College, Bourbonnais, Illinois, St. Patrick High School, in Kankakee, Illinois, Cathedral Boys’ High School, Springfield, Illinois, St. Philip High School, Chicago, Illinois, and Fournier Institute, Lemont, Illinois. Father Lynch also served as associate pastor at St. Viator Church, Chicago, Illinois and Maternity BVM Church in Bourbonnais, Illinois. He was pastor of St. George Church, St. George, Illinois from 1956 to 1962. During World War II, Father Lynch served as CCC Chaplain 1941-42; U.S. Army Chaplain, 1942-46; and Veterans’ Administration Chaplain, 1946-48. 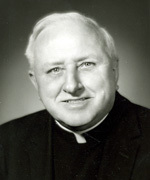 Until his recent illness, Father Lynch lived in retirement at St. Viator High School, Arlington Heights, Illinois. The wake was held Monday, June 5, 1978, at Clancy Funeral Home, 1151 East Court Street, Kankakee, Illinois, at 2:00 p.m. A wake service was held at 7:30 p.m. The funeral celebration was held at St. George Church, St. George, Illinois, at 11:00 a.m. on Tuesday, June 6, 1978. Burial was at Maternity BVM Cemetery, Bourbonnais, Illinois. Please remember Father Lynch in your Masses and prayers.